Hey Mom...why are we eating at home and having all of this healthy stuff?! Every year about this time, Moose and I decide it is time to embark on a diet or health food journey of some sort. Oftentimes, he diets and I exercise and we both quit by March. Grin. This year, I have a few Eva Kate pounds that I would like to get rid of as well, so we are taking on this journey together. We looked in to several diet and food options and finally settled on Whole 30. Basically, Whole 30 works on a similar premise as paleo, except you slowly add things back to see what your tummy can tolerate, and the program strongly suggests that you not eat "fake" substitutes. For example, pancakes are not allowed...so don't make faux pancakes with bananas and other allowable ingredients. The concept for the first 30 days is that you remove legumes, gluten, dairy, and sugar from your body for 30 days. You let your gut recover and enjoy eating straight from nature. Essentially, you are resetting from all of the junk that you put in your system. This, in addition to drinking lots of water is suppose to cleanse your body, help you to feel better, and help you shed some pounds. Most of the info about this program can be found here. So far, I am loving it. The most difficult thing is cooking every day and meal prepping for lunches. It, however, has not been nearly as time consuming or difficult as I thought it would be. I started following whole30recipes on instagram and found some pins on pinterest and went from there. We plan to go through the month of January, and possibly February, before adding anything back. Eventually, you can add legumes, then diary, and then grains (whole wheat). I truly think this will be a lifestyle change for us rather than a diet and hope to see great results in terms of weightloss and how we feel. 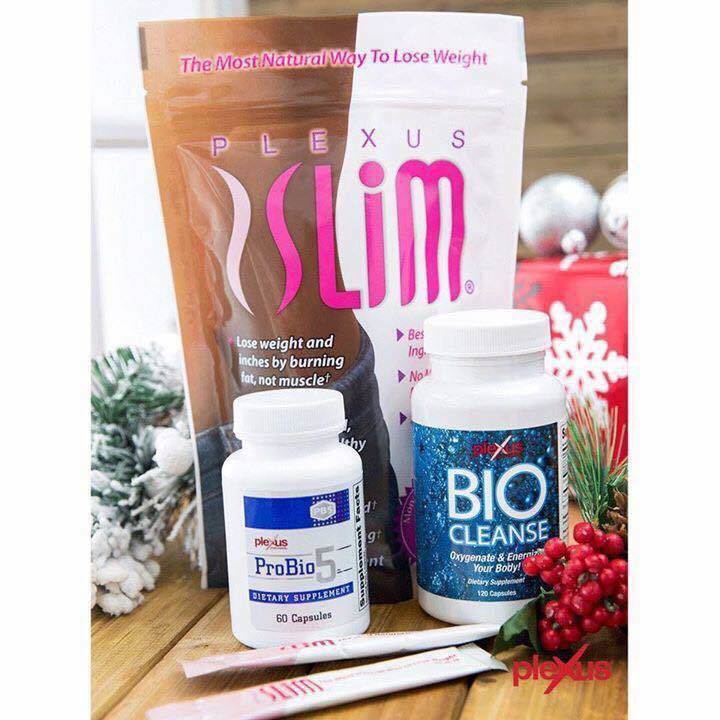 In addition to Whole30, we have also been taking some Plexus products. Several months ago, when I was still pregnant and TIRED, a friend of mine reached out to me about trying some of her supplements for gut health, my extreme sleepiness, and overall health. There are so many products out there that people are "peddling" that I just ignored her for a long time. Then, my OB suggested I take a probiotic. I had never in my life had issues with my belly, but pregnancy made going to the restroom VERY difficult (which is wayyyy opposite than I was used to). 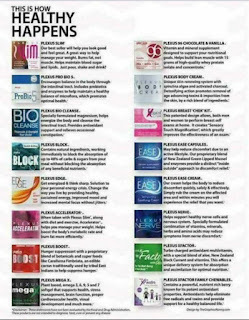 I turned to the friend who had reached out to me and asked her to send an ingredient list for Plexus' Probio5. Guess what? My OB Okayed it, as well as the biocleanse. Over the course of the past 6 months, my belly has begun to feel much better and so much more "regular". After I had Eva Kate, Moose and I both started taking Plexus Slim as well. What we are taking now is called the Triplex. It helps burn excess fat, balance blood sugar, regulating cholesterols, and so many more random benefits. My allergies have not bothered me at all in the past season. Both Moose and I have plenty of energy, even though we are eating fewer calories and no longer drinking soda. I have become a believer! This stuff works. I feel good. Whole foods + Plexus has made me a happy mama. Trust me when I say there is NO WAY I could have survived on every-2/3 hour wake ups for the past 12 weeks without some sort of help...Plexus is that for me. The cost is so worth it and less than our former "breakfast stop" each morning eating out... and the value of minimal tummy issues, more energy, and overall better health has been so worth it for both Moose and me. Trust me when I say I feel better! What are you doing to get fit in 2017? Can I help you? 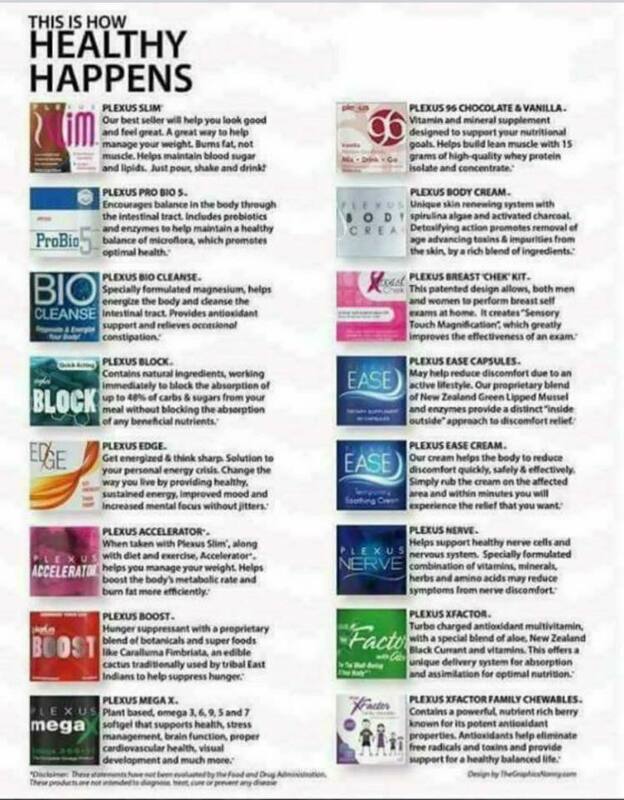 Is Plexus something you are interested in? Message me for even more info!